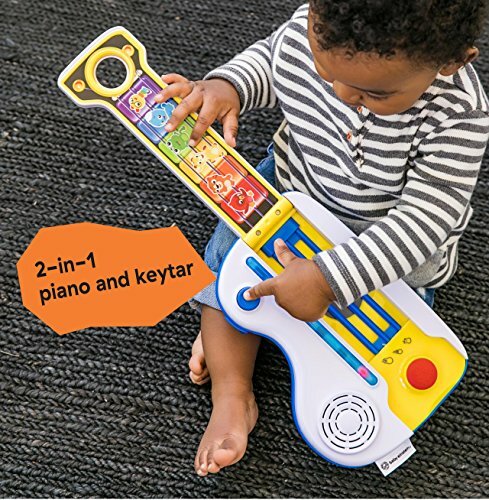 Piano prodigy by day, all-star guitar hero by night –– Baby Einstein’s Flip & Riff Keytar is the one musical instrument baby needs to start the show. 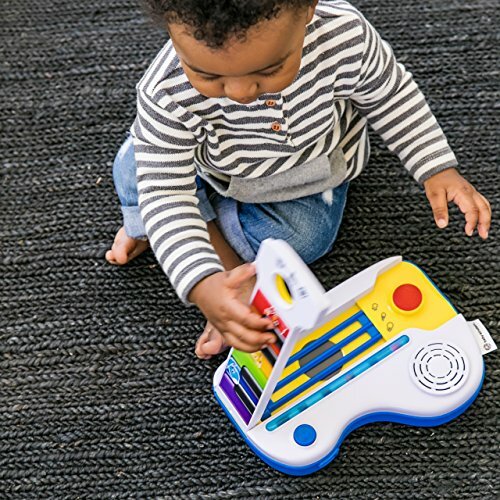 The 2-in-1 toddler toy allows your little musician to play piano melodies on one side and then unfold the fun into a guitar. 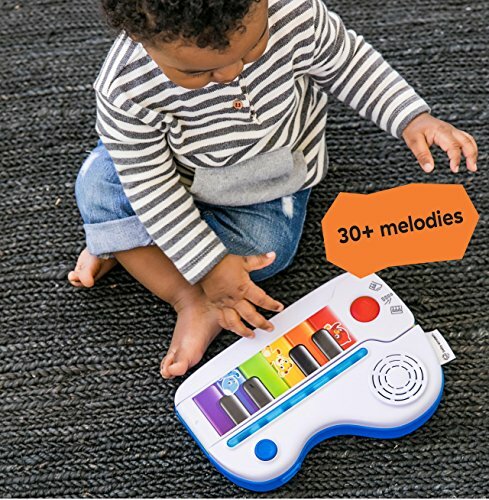 In one simple movement, she can start jamming out with different electric or acoustic sounds. 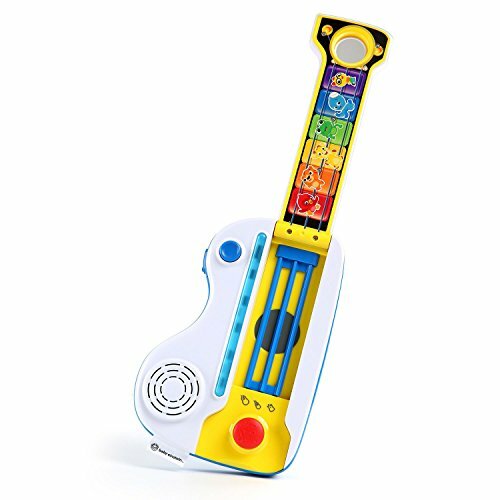 With over 30 melodies and 6 different instrument sounds, your little rock star will put on a show that you’ll never forget. 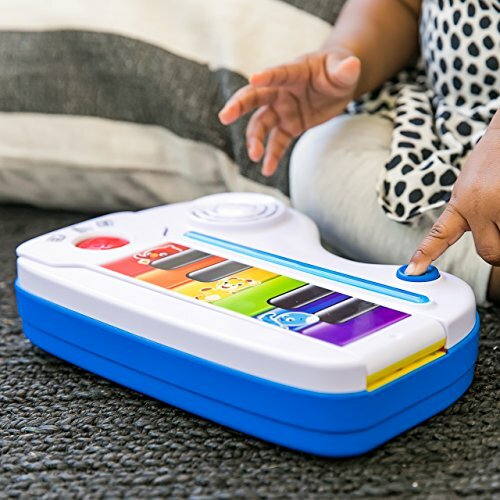 Playing with musical toys will introduce her to new rhythmic patterns and sounds, while inspiring a lifelong love of music. Watch her discover new beats and songs as she taps the painted keys. 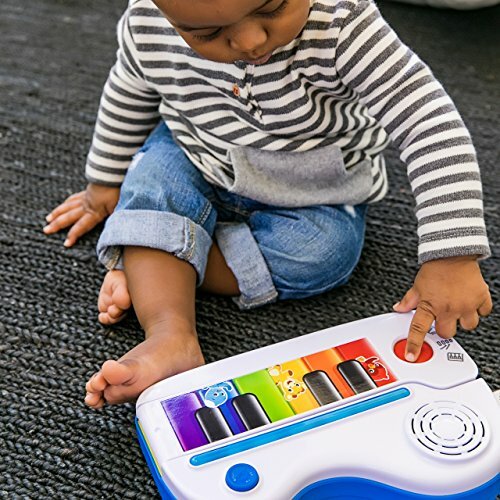 Using magic touch technology, no buttons are needed to make music magically appear from the piano! 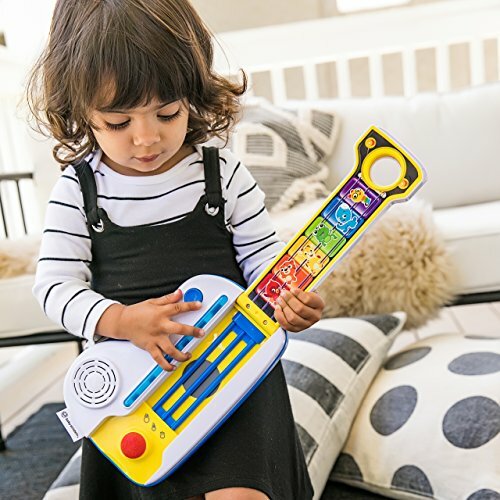 With the Flip & Riff Keytar Musical Toy by her side, your little one’s opening act is just getting started.Two ways to rock on!